Recent studies on genetics show that enhancing expression of particular developmental genes at certain periods in the uterus could help the success of In Vitro Fertilization (IVF) pregnancies, a method of assisted-pregnancy technology that has a very low success rate – about 30 %. The experts who carried out the research at Cincinnati Children's Hospital indicate the genetic strand Msx1 and Msx2 as important gene strands to ensure the uterus changes into the responsive stage required for the healthy implantation of the embryo. 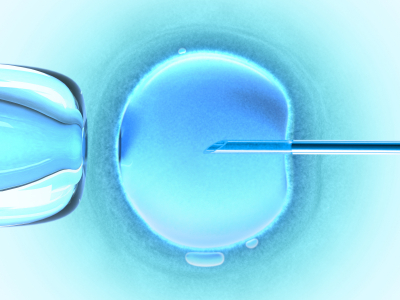 Once the uterus is not in the responsive stage, it might cause failure of IVF pregnancy. Recent observations show that IVF babies are more vulnerable to premature birth that can lead to increased potential for health risks. Recognizing important organic indicator trails at vital phases of IVF pregnancy might lead to newer outlooks for improving pregnancy rates. With a series of tests using genetically controlled mice, the research team found out that the degeneration of the Msx strand is linked with damaging reproductive risks in important organic indicator trails including the Wnt indicator. This trail has an important role in the development of the embryo. Because of the degeneration of these gene strands, the luminal epithelial cells in the uterus are not responsive and cannot form a slit formation to create a crypt-like sheets required for embryo implantation. The lab mice with degenerated genes have lower fertility depending on a single or double degeneration of the Msx strand. Mice with the degenerated Msx1 strands formed small slits. On the other hand, those mice with degenerated Msx1 and Msx2 strands lead to total infertility since the embryo implantation failed. Further studies on the genetic makeup of the Msx strands show that these genes have distinctive expressions in the uterus during the menstrual period of women. This could lead to the conclusion that genes noted in the present research might have vital roles in implantation of the human embryo. The current findings also show that these gene strands maintain uterine responsiveness without compromising the hormonal levels or the receptivity of the uterus to fertility and pregnancy hormones. Researchers at Cincinnati Children's Hospital believe that aside from its ability to increase rate for IVF-induced pregnancy, it also uncovers the prime role of the Msx strands for further studies and progress of non-steroidal contraceptives. Even though advanced studies are needed to apply the research results to human fertility, the research team claims that they have established a clear understanding of how an organic mechanism that controls female fertility and could be externally controlled. Source: Takiko Daikoku, PhD; Jeeyeon Cha. Cincinnati Children’s Hospital Medical Center. 20 November, 2011.